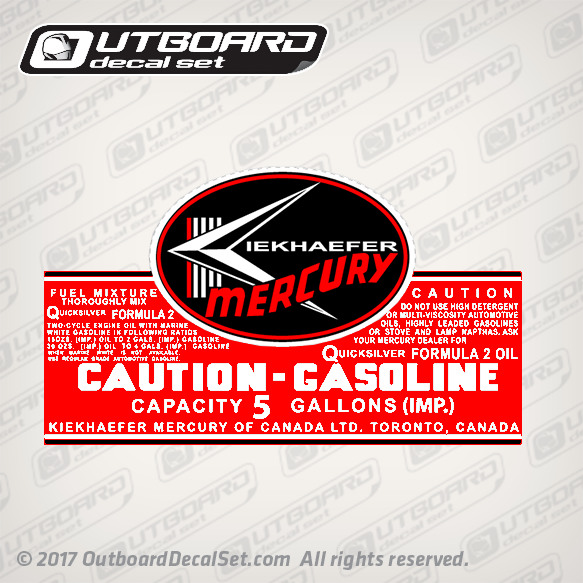 1957 - 1963 Mercury 5 CDN GALLONS Gasoline Tank decal replica Sold by Set for 1957 - 1963 Outboard Fuel Tanks. WHEN MARINE WHITE IS NOT AVAILABLE. USE REGULAR GRADE AUTOMOTIVE GASOLINE.